Ditch those toxic fabric softeners and dryer sheets! 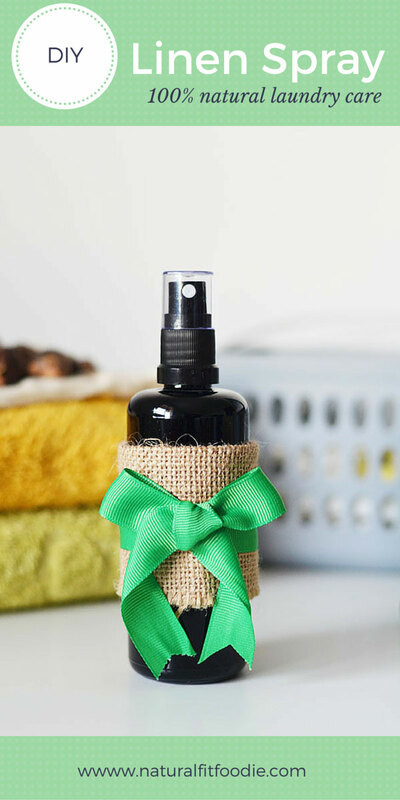 This DIY Linen Spray is made with safe, natural ingredients to ensure that you accomplish cleanliness without sacrificing your health. As a bonus they make a great gift for the holidays! The day I started using soap nuts I ditched all commercial fabric softeners and dryer sheets. Besides the fact that most commercial fabric softeners and dryer sheets contain toxic chemicals when you launder with soapnuts, fabric softener just isn’t needed. Your clothes dry completely static free and soft. I have come to prefer that fresh ‘non-smell’ I get when I do laundry but after posting this image on Facebook recently I realised that some folks like their fresh laundry to smell ‘sweet’ so I set off on a mission to create a natural linen spray in much the say way as I created my DIY Air Fresheners. I harnessed the power of essential oils. Essential oils have been used for centuries for a multitude of treatments. 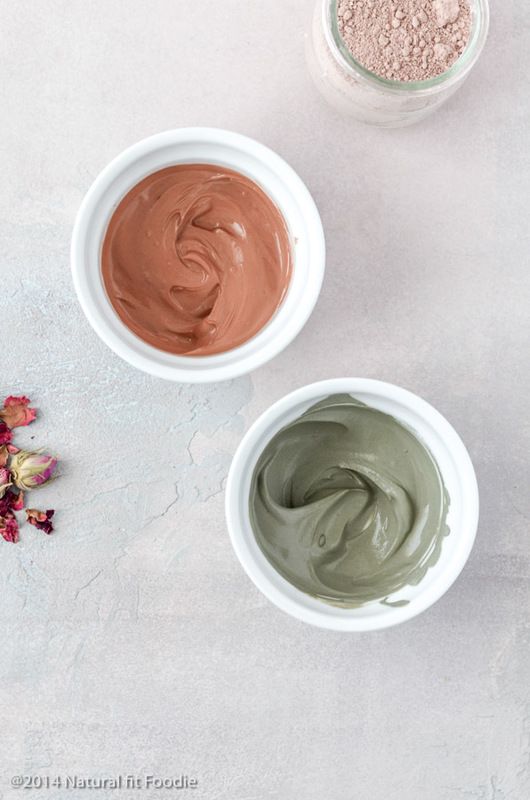 They have therapeutic properties and when used carefully can promote health and wellbeing by providing both psychological and physical benefits. Essential oils not only smell great but some of them have deodorizing properties. How do you make your own linen spray? Distilled water – distilled water is water that has many of its impurities removed through distillation and is thus considered purer then tap water. Place all ingredients in a glass jar with a tight fitting lid and shake vigorously to combine. Use the funnel to pour the ingredients from the glass jar into the spray bottle. How do you use linen spray? Spray on freshly washed laundry before putting in the dryer or line drying. Spritz it on your sheets when making the bed. Use in the iron instead of plain water. Use it as an air freshener for the home and car. Replace your Febreze and spray it on carpets and upholstery to keep them fresh. How do I make my own natural Febreze? 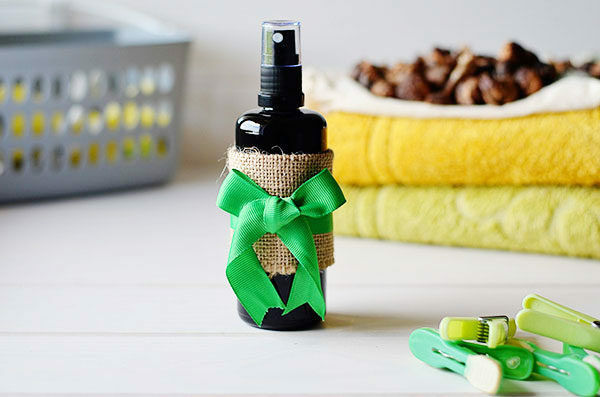 Add Tea Tree (Melaleuca) Essential Oil & Lemon Essential Oil to the basic recipe for diy linen spray. This blend is especially deodorising plus it smells so fresh and so clean. I’m literally in love! 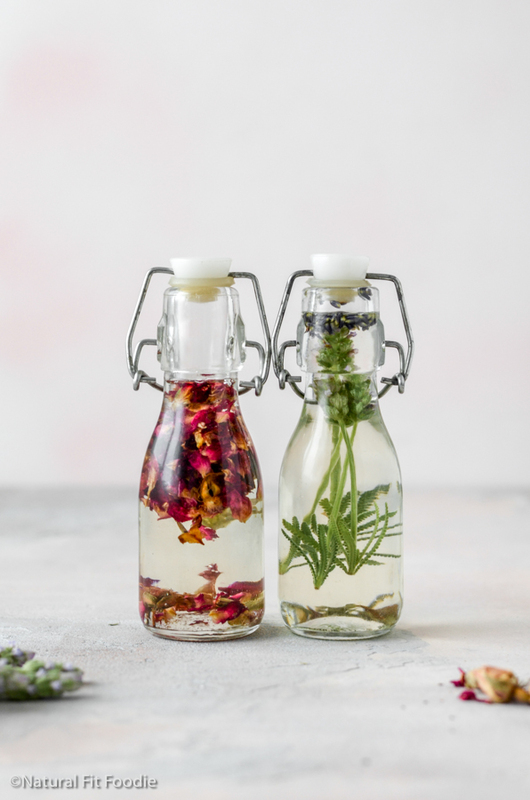 How do I make my own lavender linen spray? 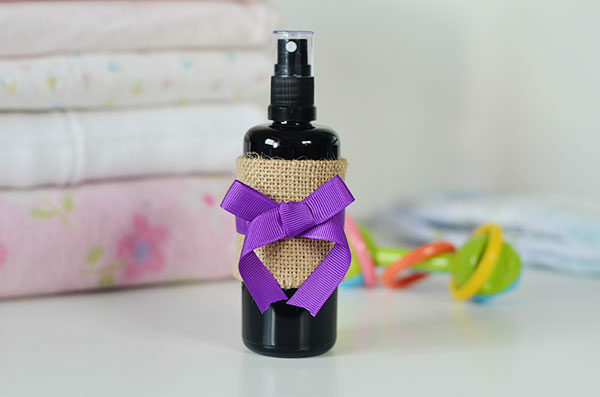 Add Lavender Essential Oil to the basic recipe for diy linen spray. 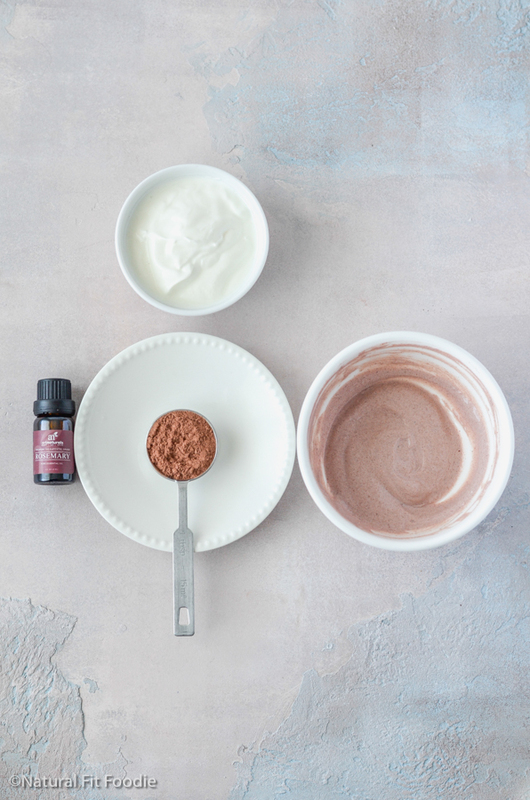 This blend is especially soothing when sprayed onto your pillow before sleep. 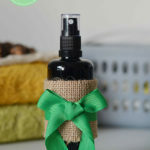 I hope you give this DIY Linen Spray a try and if you do please come back and let me know how you liked it! 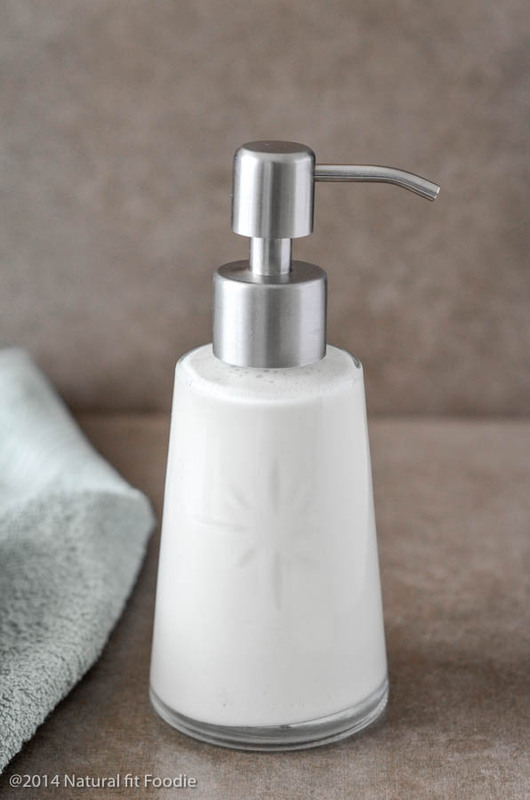 If you enjoyed this post and would like more DIY cleaning recipes then you’ve got to check out the DIY Natural Cleaning Challenge Ebook! This beautiful eBook includes 50 natural recipes and tips to clean your home. It will teach you how to create a natural (cleaning) lifestyle that works for every family and home. What are you waiting for ? Click the image below to learn more! Ditch those toxic fabric softeners and dryer sheets! 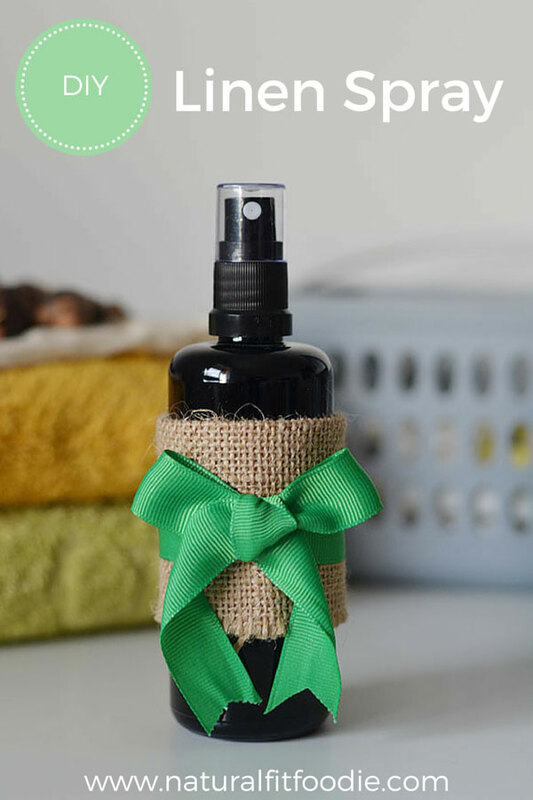 This DIY Linen Spray is a safe natural alternative and will leave your clothes with a wonderful natural scent! This is really neat! So simple – I would love to try this! Thanks Renee. Hope you like it! Great idea. I plan on trying one with lavender. Thanks! Thanks Jess. The lavender is just awesome! This sounds wonderful and I love the way you wrapped the bottle! Thanks Linda. It makes a great pressie? Your DIYs always look so pretty! Love essential oil linen sprays like this! And love your photos too! Thanks Emily you’re too sweet! I love them as well. ? I agree Elaina! Thanks for sharing ? Your washing regime is similar to mine; yet you’re opening up my eyes to something new. Thank you for this! Yes, as others have said, lovely photos!! Thanks Megan! Glad you like it ? What a wonderful idea, I’m going to make some with lavender. Great! Hope you like it Sylvie ? Krystal I’m making the lavender linen spray today. I spray our bedding nightly as when I turn it down. It makes for a welcoming bed and a wonderful nights sleep. Wishing you happiness.